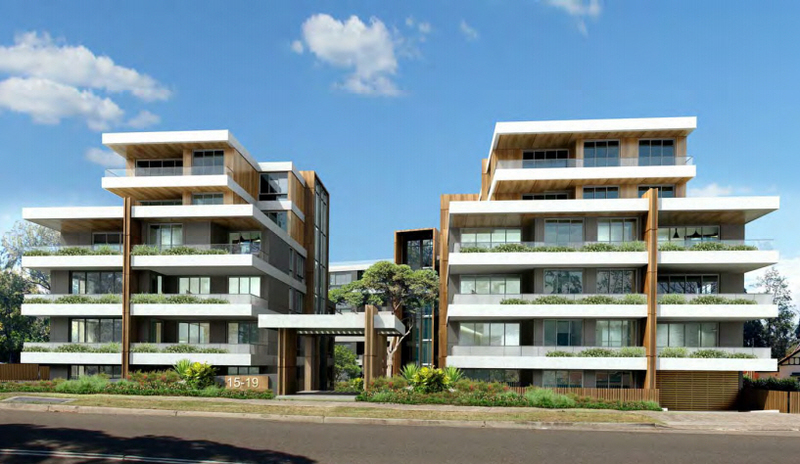 Parramatta City Council has put on exhbition this DA for a large new unit development at 15-19 Essex Street, Epping comprising of three blocks. You can read the details here. The proposed development replaces an existing DA (passed in 2015) for a 5 storey apartment development. This new DA is for a tiered development up to 7 storeys and basement parking, with a total of 78 apartments. The proposal introduces serious interface issues with properties behind it on Norfolk Road. Some of these are in the Heritage Conservation Area but the impact on others is equally severe. The current zoning and developments have already shown that this location of high blocks right next to single storey dwellings is a very bad outcome. It should not be increased with more height.